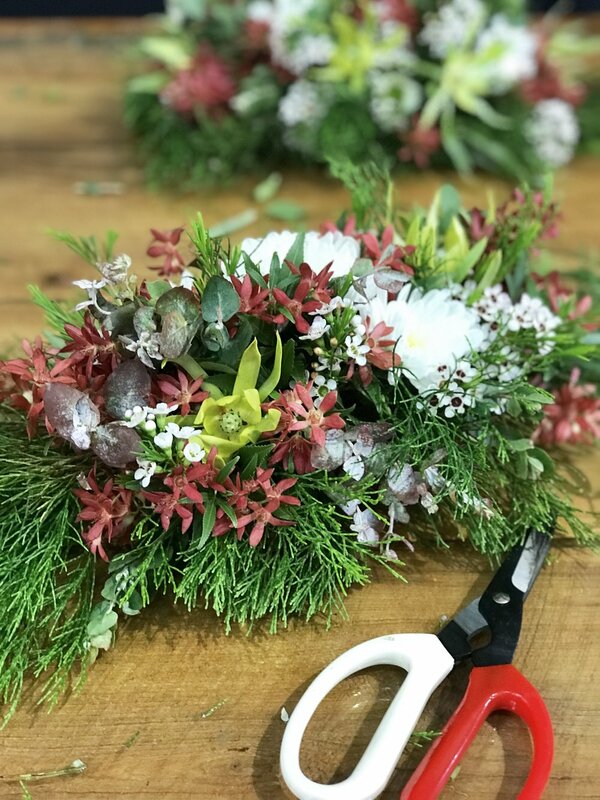 Celebrate this festive season with beautiful flower arrangements that you have created yourself at the Northside Flower Market Christmas workshops. My creations from the Northside Flower Market Christmas wreath and table centre piece workshop. Northside Flower Market, in Stafford, is the largest full-service florist in Brisbane with a huge walk in flower market open to the public. They have a stunning shop full of floral designs ready-to-go or their talented florists can create a beautiful gift from your choice of fresh flowers. Christmas workshops are on now and I recently spent a Saturday morning having fun taking part in the Christmas wreath and table centre piece workshop (you can see my creations in the photo above). All flowers and materials were provided for our one hour class and our teacher, Kylie, was extremely patient and helpful. Don't worry if you have never done a floristy course, as no previous experience is necessary. Upcoming Christmas workshops include - Christmas wreath and table centre pieces, dried Christmas wreaths, Long and low table arrangements, children's Christmas workshops including making their own mini wreath and flower arrangement in a tin container. Book quickly as classes are filling quickly. You can see the full class timetable here. Children's Christmas workshops include make your own flower arrangement in a tin container. 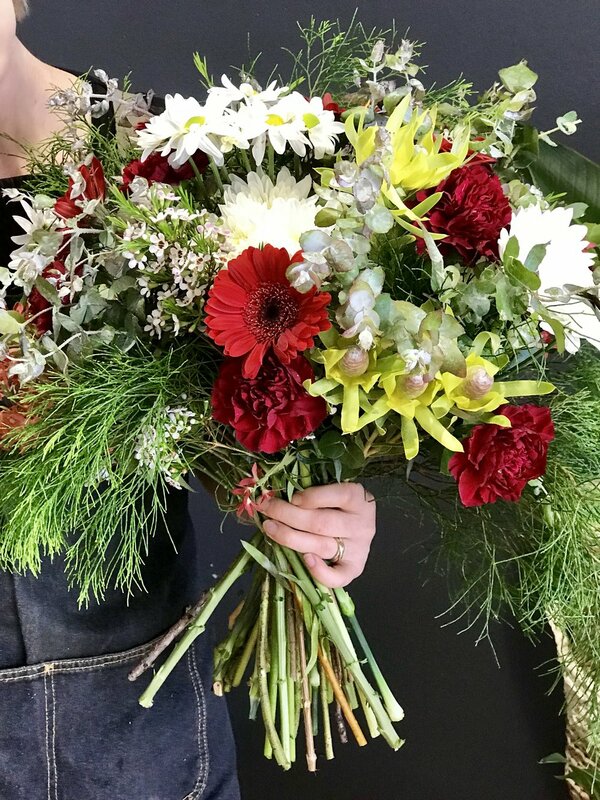 Celebrate this Christmas with beautiful flowers in arrangements you have created yourself or that the team at Northside Flower Market have created for you.